Whether juicing or blending this refreshing tumeric drink, you’ll love its zesty citrus flavor. 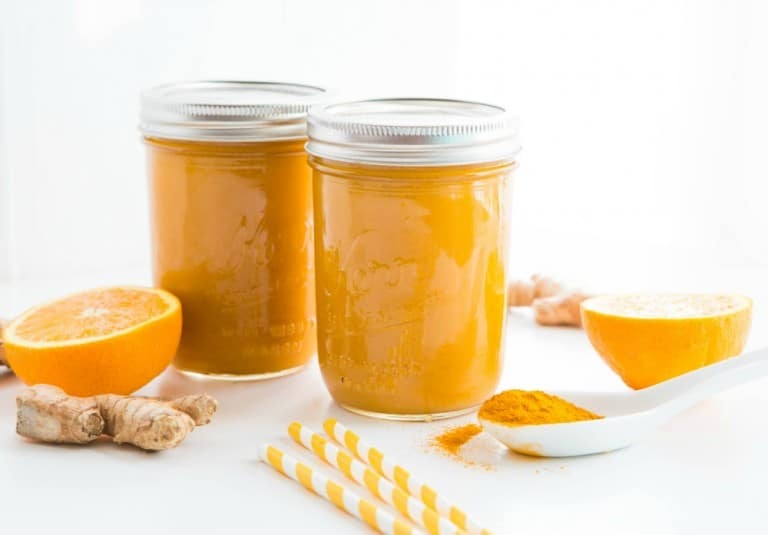 You can enjoy this elixir once a day to reap the anti-aging benefits of the turmeric, as well as getting an immune boost from the vitamin C in the citrus fruit. Add all the ingredients to your juicer and follow juicer instructions to extract the juice. If you don’t have a juicer, you can add each of these peeled ingredients to your blender with 1 cup of coconut water for a powerful, refreshing smoothie. This turmeric elixir has high fruit content, so if you’re juicing it, be sure to sip it over time rather than drinking it quickly. That’ll prevent a spike in your blood sugar.